Almost 90% of restaurants in London will close down or move if commercial property rents continue to rise this year, according to new research. 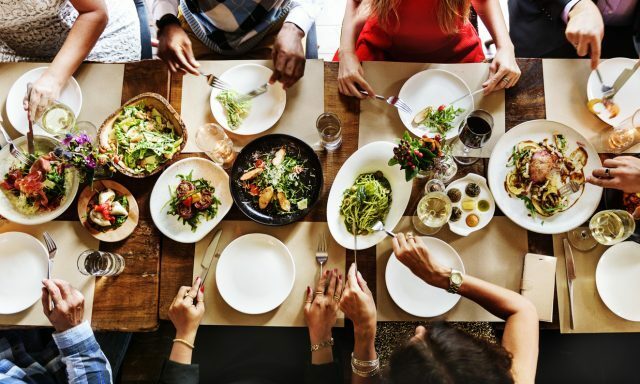 A survey of 600 restaurant operators in the capital has found that 90% of owners believe their business will become “unmanageable” if rents rise as predicted in 2018, while 84% said they would be forced to either close down or move premises. The study, published by real estate consultancy Cedar Dean Group (CDG), said that there could be an “exodus” of restaurants from central London in the coming years, with business-owners moving to satellite towns and regional cities to survive. The news comes after a report by the CBRE found that rental rates on commercial properties have continued to rise, if slowly, over the past year. Rental values across all UK commercial property rose 0.2% in March 2018, according to the CBRE Monthly Index, having risen by more than 3% in the past year. After the 2018 rates rise, 90% consider their costs will be unmanageable and 84% said they would have to either close down or move out of Central London. In the past, rental rates for restaurants were paid for with around 12% of the business’ overall revenue. Today, this is closer to 20%. Roger Payne, chief executive Camden Dining Group which includes Gilgamesh and Shaka Zulu within its portfolio, said that landlords have “taken advantage” of restauranteurs who want to grow their business. And in February Jamie Oliver’s Barbecoa restaurant in Piccadilly closed, entering administration, while the restaurant’s sister site in St Paul’s was rescued after Oliver’s group scrambled to broker a last minute deal to acquire its assets through One Change Limited, a wholly owned subsidiary of Jamie Oliver Restaurant Group that was set up only three weeks ago. Tenant security is another major issue for the hospitality industry’s small business owners. More than a quarter of restauranteurs in the report said that their contracts don’t fall under the Landlord & Tenant Act 1954, which means they don’t have a right to renew their lease under the same conditions and rates as the original agreement. Currently, restauranteurs have “no protection whatsoever,” according to Bob Bob Ricard owner Leonid Shutov. “They can’t rely on the Act. If landlords are unwilling to offer a lease within the Act, they have no choice. CDG predicts we will more remote central kitchens, and an exodus of restaurants from central London in favour of fringe locations or even cheaper, regional cities. “We are already seeing a lot of the innovation going to the east and south of London where levels are more affordable,” said CDG boss David Abramson.